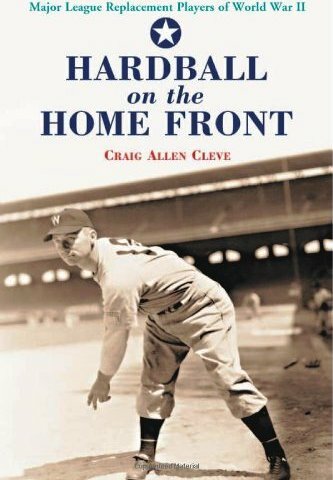 As we celebrate Veterans Day across the country, here is a look at the top five books about baseball during World War II. At a time when our entire nation was focused on the war, President Roosevelt ordered the game to continue for the morale of citizens everywhere. 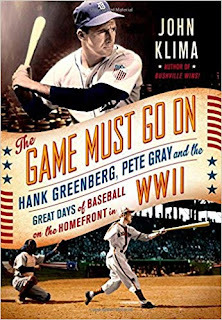 These five books illuminate the efforts to preserve the game on the home front, as well as the experiences of those who traded their baseball uniforms for military ones. 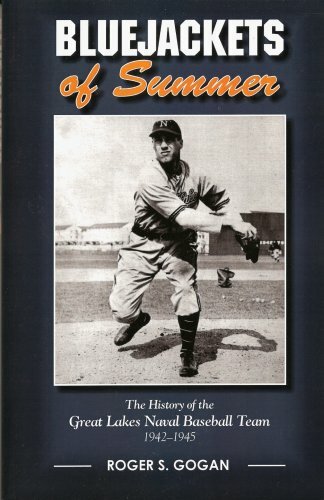 Roger Gogan’s “Bluejackets of Summer,” details the Great Lakes Naval Baseball team, a unit so strong that it was often referred to as the “17th Major League team.” The Great Lakes Naval Station hosted an array of All-Star talent from 1942-1945, led by Hall of Fame manager Mickey Cochrane. The team included Hall of Famers Bob Feller, Johnny Mize, and Pee Wee Reese, as well as All-Stars Schoolboy Rowe, Virgil Trucks, and Dom DiMaggio. When the draft took many of the major leaguers from their teams, players who were exempt from service stepped up to the plate. These included teenagers such as Joe Nuxhall and Tommy Brown, as well as post-retirement forty-somethings Babe Herman and Clyde Sukeforth. Craig Allen Cleve interviewed nine wartime baseball players for "Hardball on the Home Front," who generously shared their experiences playing baseball after President Roosevelt ordered Judge Landis to keep baseball going. 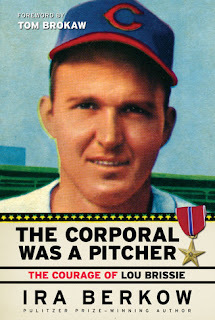 When President Roosevelt made his decree, players mulled the decision to enlist (before they were drafted) or to stay home and play. Author John Klima penned “The Game Must Go On,” to tell the story of American baseball during World War II - of both the players who left to join the war and the ones who kept the game alive stateside. Klima provides a deep look at the stars that left and the players like one-armed Pete Gray, who fought to inspire others on the field. The book finishes with the 1945 pennant race where Gray’s St. Louis Browns fought mightily to upstage Hank Greenberg’s Detroit Tigers. Moe Berg was a major league catcher for 19 seasons, but his true fame came for his work as a spy during World War II. The Office of Strategic Services sent Berg to investigate Germany’s Atomic Bomb developments. After the war, he helped draw European scientists to the United States. The President awarded Berg the Presidential Medal of Freedom; however, he refused to accept the honor. 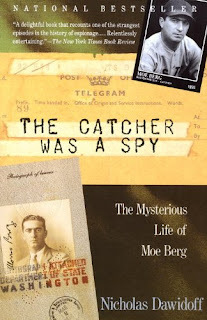 Author Nicholas Dawidoff digs deeply into the mysterious life of one of baseball’s enigmas with "The Catcher Was a Spy." 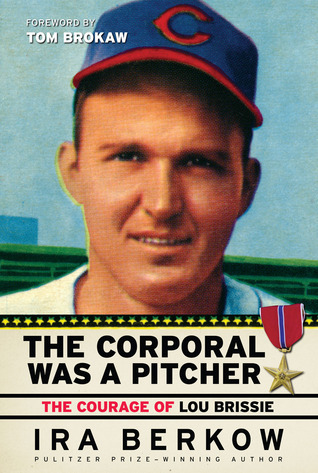 Lou Brissie was an All-Star pitcher for the Philadelphia Athletics in 1949, but his road to stardom was marred with hurdles unlike any other major leaguer has ever faced. To call Brissie's experience in the war remarkable would be an understatement. Life changed drastically for Brissie on December 7, 1944. While serving in Italy, an artillery shell exploded on his squad leaving him for dead with his left leg tattered from the explosion. Doctors wanted to amputate, but Brissie pleaded with them to save his injured appendage. “The Corporal Was a Pitcher,” is an intense look at the horrors of war, as Brissie waited over sixty-years to tell the painful details of the carnage he witnessed while he managed his own suffering.